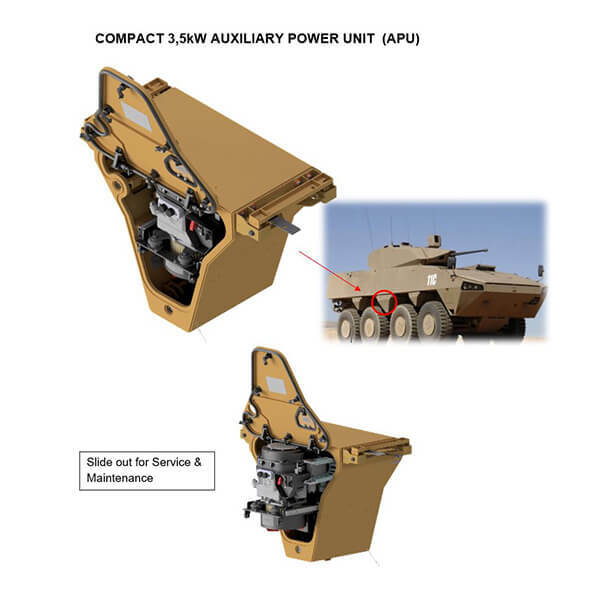 Original design from the Patria 8x8 Armoured Modular Vehicle (AMV) and specifically re-designed for the Badger variants for the South African Defense Force. 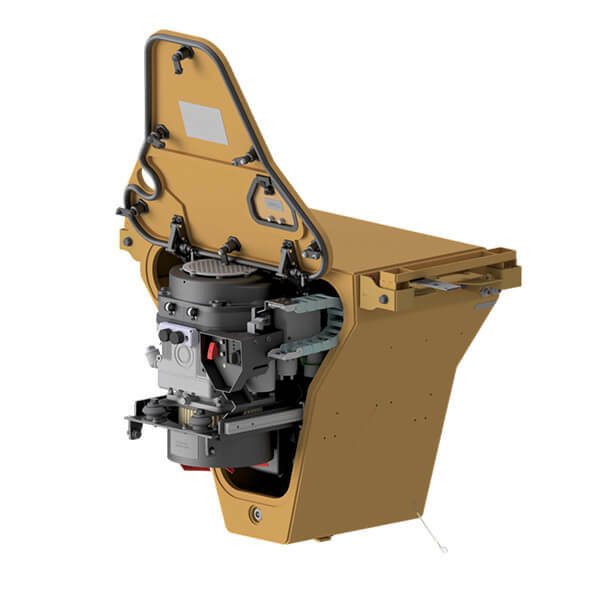 The Permanent Magnet Generator (PMG) was developed by IDM (Italy) to fit into one direct driven assembly with the vertical shaft Hatz air cooled engine. The air cooling of the unit was optimized for full load in a 48°C ambient with all hatches closed. This now enables continuous operation whilst the vehicle is moving and/or in full operation. All hatches can seal watertight to allow for fording. The unit slides out on rails to give quick access for inspection, maintenance and repairs. The unit fits in a custom side bin between two of the wheel arches.